There goes another month, I cannot believe it is only two months until CHRISTMAS. I think it is fair to say I am rather excited to start with christmas festivities. October for me has been a write off, I've lacked serious motivation not only in blogging but in my day to day life to. Thankfully I am feeling much more motivated and I'm super excited to start fresh with a new month. 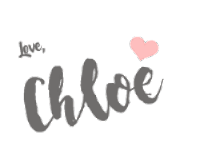 This foundation is such a cult favourite in the blogging world, I was quite late to the band waggon but I am so glad I decided to hop on. I have been using this foundation pretty much everyday this month, I literally cannot get enough of it. 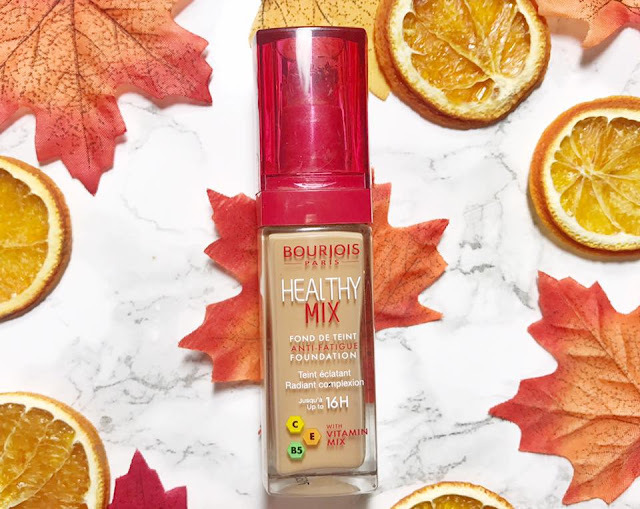 This foundation applies and blends like a dream, It gives me a full coverage which has been a must for me this month as the weather change has basically killed my skin. Not only does it apply really well but it also lasts ALL day, and I'm talking though out my 9 hour shift at work and then some! I am starting to run low on this foundation so I really need to pick up another...or 10. This is another product I have been using non-stop this month, I was sent it from the lovely people at Influenster. The highlight is subtle but beautiful, the contour is literally the perfect shade to carve out (or in my case crate) your cheekbones. It isn't too bronze or too muddy, for me it is a drugstore version of Hoola bronzer from benefit. The blush is such a beautiful, subtle pink shade which is perfect for me because I like a more subtle blush. Much like the healthy mix foundation this little palette of dreams lasts sooo well and applies pretty much flawlessly. Lets face it, this wouldn't be an autumnal October favourites if it didn't include an autumnal nail polish. Dark nail polishes are always a go to for me so during Autumn & Winter I am in my element. This is such a gorgeous brownish red colour and I've been obsessed with it since the end of September. It lasts amazingly well and holds such a gorgeous shine which is something I always hope for in a nail polish. 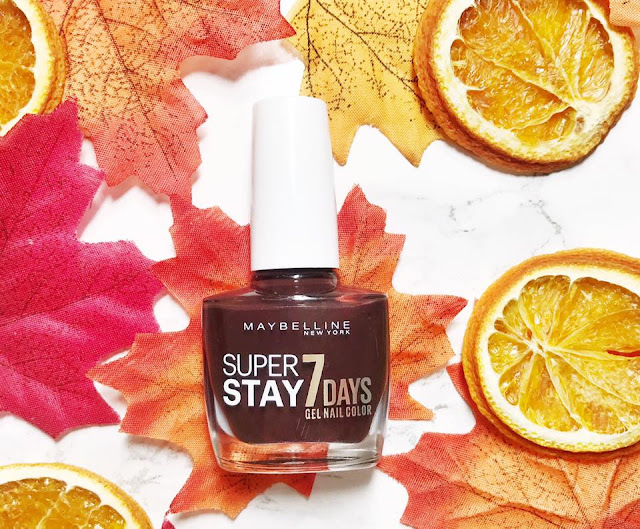 I must say these ones from Maybelline really are amazing! I have been really struggling with my skin this month, It must be down to the change in the weather. (I am aware that was such a British thing to say HA!) My skin has been really dry this month which has made me produce more oil and therefore get freaking blemishes and those spots the size of houses that don't pop. 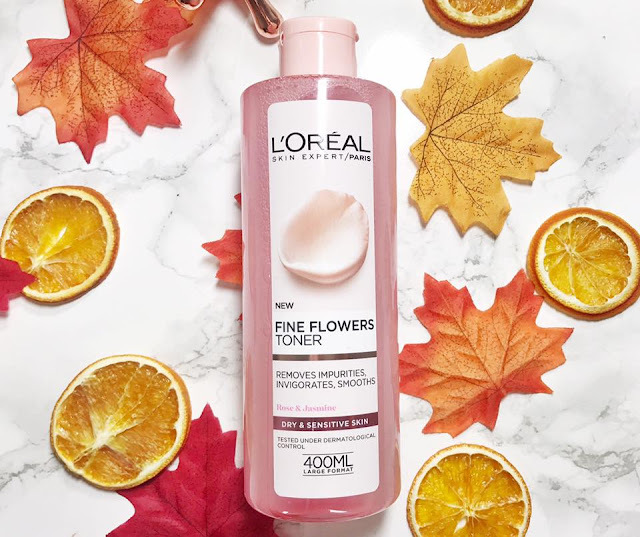 This toner is so gentle and moisturising which has helped my skin so much! I have heard hit and miss reviews about this range but personally, I'm enjoying it. 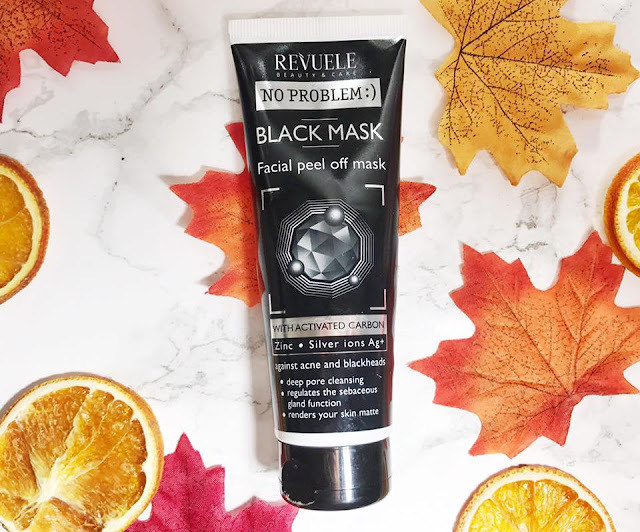 Another skincare product I've used non-stop this month is this blackhead mask. It is one of those gross but amazing masks that pull out the vile blackheads embedded in our poor skin. I must say I get quite a few blackheads around my nose and chin so this mask has been my saviour recently. I know a lot of people like to use the pore strips from brands like Biorè but trust me they are nothing compared to masks like these! You can read my full review here. Just so eliminate the elephant in the room, yes I am aware this photo isn't great, sorry but these darker evenings make blog photography difficult especially when I work weird hours and lets face it there is only so much studio lights can do...moving swiftly on. During the Autumn and Winter my skin gets extremely dry so I go though tonnes and tonnes of moisturiser. I have been loving and seriously getting through this one from Soap & Glory. 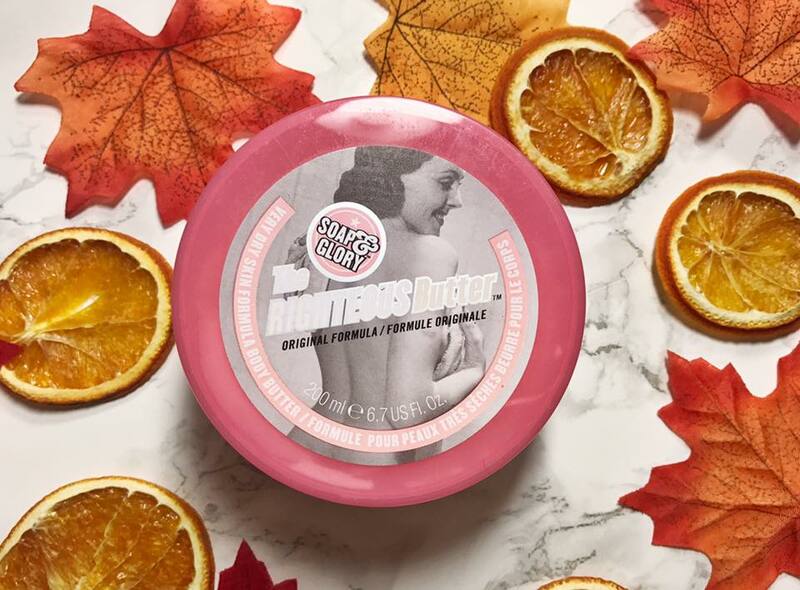 I'm sure you will all agree with me that Soap & Glory kill it when it comes to amazing body care products which smell incredible. If you haven't already tried this body butter then you NEED to, like right now! Well there you go, my October Faves. I must say October wasn't really a month for new products but it was filled with amazing products I love. Hopefully November will be more of a positive month for me. Let me know what you have been loving this month! Until next time lovelies. 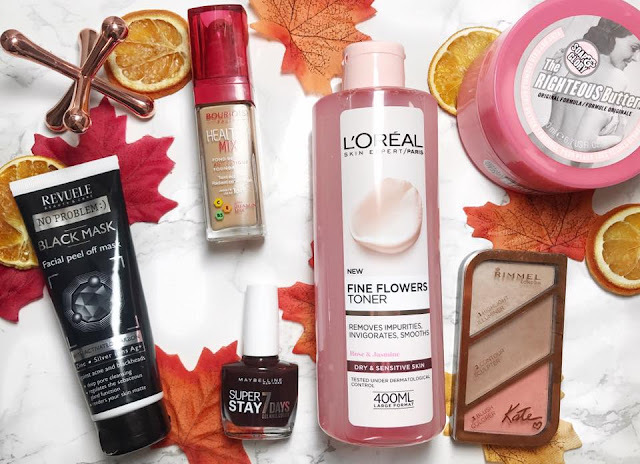 Really intrigued by the loreal toner, my skin gets dry and red in the winter due to all the central heating. So anything hydrating and/or soothing is totally up my street. Might have to give it a whirl when I do my next superdrug/boots shop! I LOVE the healthy mix foundation! 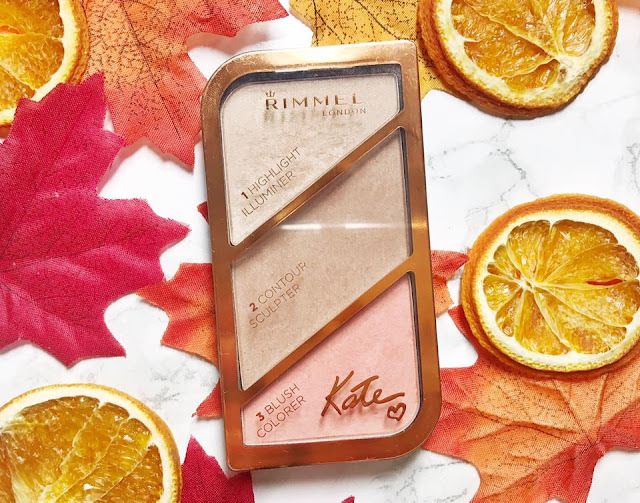 I've been using the Kate contour kit from Rimmel this month too and I love how subtle it is!